Last year I reviewed K1 Plus T2 S2, an Android TV box powered by Amlogic S905 quad core processor with DVB-T2 and DVB-S2 tuner support, which worked with some caveats. VideoStrong has now send me an updated model with Amlogic S912 octa-core processor, which I presented in the post entitled Mecool KIII Pro Hybrid Android STB Review – Part 1: Specs, Unboxing and Teardown, where I listed the specifications, and showed photos of the device and the boards (main board + tuner board). I’ve now had time to play with the device, and in many respects the user experience is very similar to the one I got with KI Plus T2 S2 models, but there are also some tweaks, and a few bugs which I’ll report in the second part of the review below. The four USB ports are really convenient, as I could connect a USB hard drive, an air mouse, a wireless game pad, and a USB keyboard without the need for a USB hub. 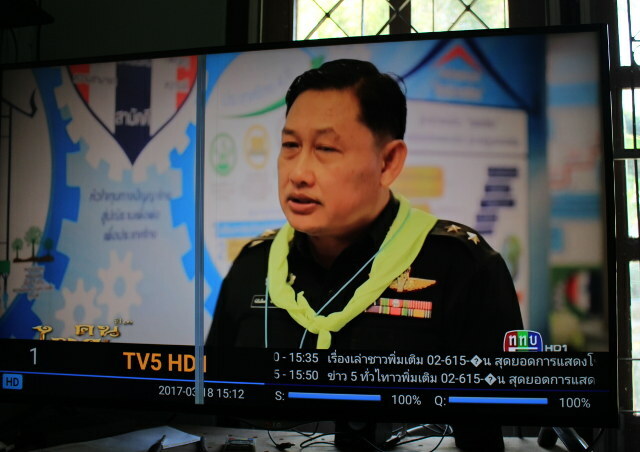 I also connected the usual Ethernet and HDMI cable, plus the cable from my Satellite dish to the DVB-S2 F connector, and the cable from my roof antenna to the DVB-T2 coaxial connector. Once we connect the power, the device boots automatically, and usually takes under 30 seconds to do so. The launcher is pretty much the same as KI Plus TV box. So I won’t go through it in details again, and will only comment on one change. Kodi is gone and been replaced by something called “TV Center”. So I clicked on it, and it showed a famous Chinese proverb “The installation isn’t installed!”. So I went to the list of apps, and click on TV CENTER, which will do the installation of this mysterious app. Once it’s done I can click on TV Center, and the user interface looks familiar. So that means they made some modifications to Kodi 17, and change the name to comply with the trademark requirements. The TV Center installation also automatically added some add-ons as shown in the screenshot below. 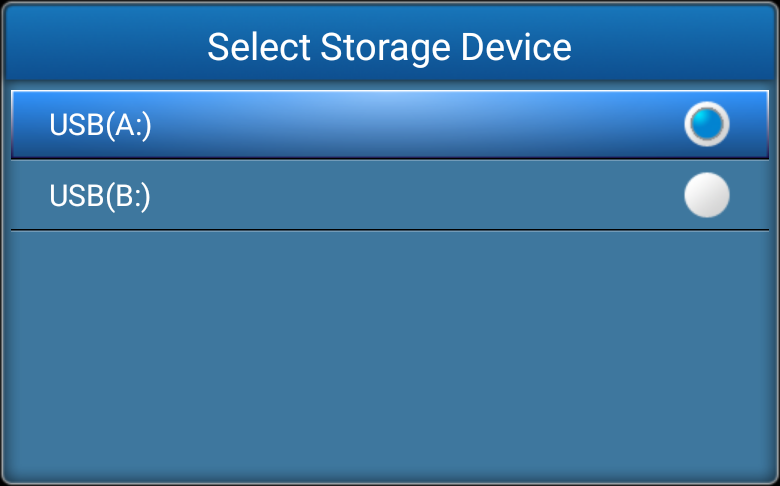 The Setting app is exactly the same as for other recemt Amlogic TV boxes, and there’s nothing specific to DVB, so I’ll mostly skip it (If you want to see check out Qintaix Q912 review), except to show Storage & USB section that reveals 634 MB is used out of 16.00 GB. That’s obviously a fake number, and it should be around 11 to 12 GB, but the company may have chosen to do so to avoid some customer’s complains that there’s not 16GB storage, as they don’t understand the OS take places on the flash. It also shows NTFS and exFAT file systems are supported, but not EXT-4, nor BTRFS. 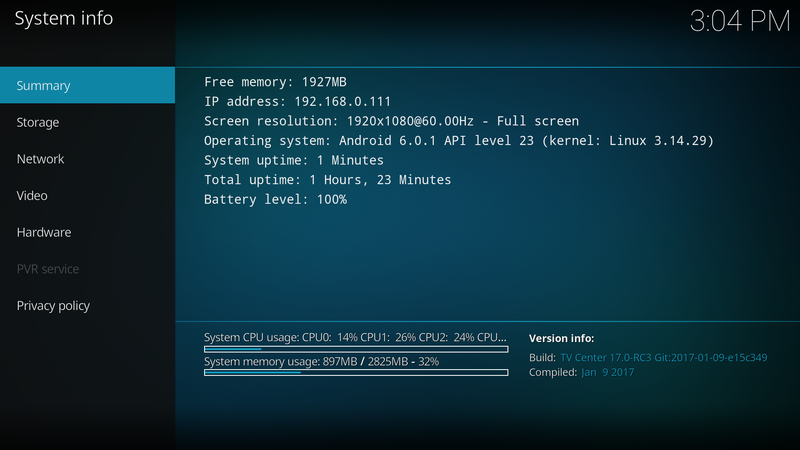 The About section shows the model is indeed KIII pro running Android 6.0.1 on top of Linux 3.14.29. The firmware is rooted by default. OTA update appears to be supported, but at the time of the review, there was no update available. I tested the provide IR remote by adding two AA batteries, and it works well up to 10 meters. For most other TV boxes, I’d recommend to use an air mouse, bu in the case of KIII Pro, you’ll need to keep using the remote control in order to support DTV app for DVB-S2/DVB-T2 properly, maybe switching to an air mouse or wireless keyboard + touchpad for some other Android apps. One recurring issue in most TV boxes is still present in KIIIPro however: the mouse cursor is rather small when you set your TV to 4K resolution. I could install all apps I needed through Google Play, and Amazon Underground without issues. The set-top box has only two power modes: off or on, and there’s no standby mode. I can turn the device on or off using the IR remote control or the power button. The good news is that USB ports are turned off in power off mode, so at least the extra power consumption does not come from those ports. Temperature is a little higher than other boxes, but I’ve not encounter massive CPU throttling during my tests. After playing a 2-hour video the maximum top and bottom temperatures as measured with an IR thermometer were respectively 53°C and 57°C, while after playing Riptide GP2 for about 15 to 20 minutes the temperatures were 51°C and 57°C, but I did not notice any lower framerate in the game as the time went on. I quickly started CPU-Z after quitting the game, and the reported temperature in the app was a high 89°C, so in some conditions performance degradation due to high temperature might be possible, I just did not experience it during my tests. FYR, room temperature was around 30 °C during testing. KIII Pro Android firmware feels very much like any other Amlogic S912/S905X TV boxes, and it was responsive without any critical bugs. The only small annoyances were the somewhat loud music during the boot animation, the small cursor at 4K resolution, and the relatively high power consumption in power off mode. 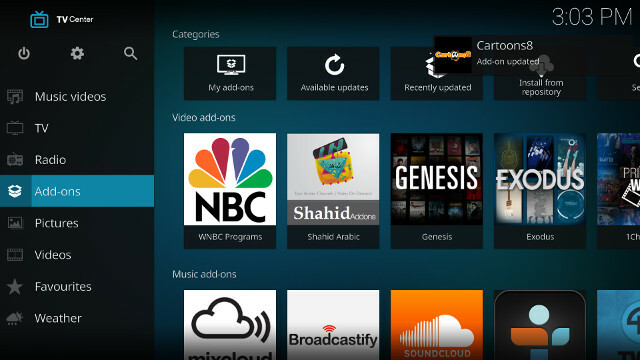 As we’ve seen in the section above, Kodi is not installed per se, but instead the box comes with an installer for a fork of Kodi 17.0-RC3 called TV Center. Ducks Take Off [2160p a 243 Mbps].mkv (4K H.264 @ 29.97 fps; 243 Mbps; no audio) – USB hard drive playback: Not smooth as on all other Amlogic TV boxes. The.Curvature.of.Earth.4K.60FPS-YT-UceRgEyfSsc.VP9.3840×2160.OPUS.160K.webm (4K VP9 @ 60 fps + opus audio) – Plays, but not always perfectly smooth as with all Amlogic S912 TV boxes. 4K video capabilities are pretty much the same as on other Amlogic S912 TV boxes, except for HD.Club-4K-Chimei-inn-60mbps.mp4 that was worse than usual. Automatic frame rate switching is not working again as is the case on most other S912 boxes, except MINIX NEO U9-H.
Next up I enabled HDMI audio pass-through in Kodi, and since TrueHD is not part of the list, I also enabled Dolby Digital (AC3) transcoding. Here are the results of my tests with Onkyo TX-NR636 receiver. 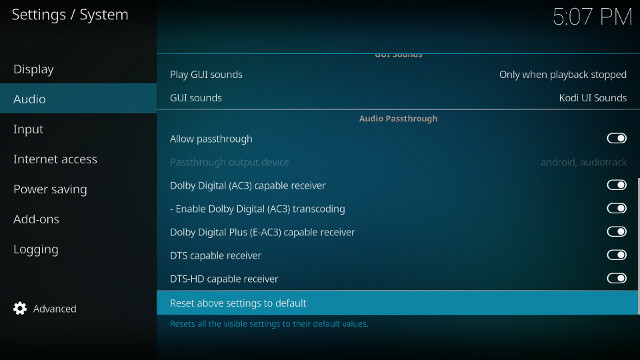 That’s pretty bad if you plan to use HDMI audio pass-through, except for Dolby Digital 5.1 / AC3. The first video has often problem on Amlogic TV boxes in Kodi, but most AC3 video should work fine. A good news is that AC3 is working via MX Player, so if you receive live TV channels with AC3 audio through the DTV app, it should be able to decode AC3 audio properly, something that was not possible in K1 Plus T2 S2. I also played a 2-hour video to check for stability. The first time, TV CEnter app crashed with the message “Unfortunately TV Center has stopped” after about 5 minutes, and my second attempt was not completely trouble free either, as the video stopped at around the 50 minutes marked, and the system went back to TV Center UI, but I could select the video again, was offered to resume from 49:21, and it could play until the end. KIII Pro supports Widevine Level 3 DRM. That means no Netflix HD like on most competing Android media players. Now to the most important features of KIII Pro hybrid set-top box: DVB-T/T2 and DVB-S/S2 tuner support. The box is using the same DTV app as on K1 Plus T2 S2 with only minor modifications. The first time you launch the app, you should get the following message indicating there aren’t any channels yet, and asking you to scan for channels. Once you agree, you’ll be ask to select DVB S/S2 or DVB T/T2. I’ve gone with the latter first, and I’ll redirect you to the post entitled “How to Configure DVB-S2 and DVB-T2 Tuners in K1 Plus Android DTV Receiver” since the procedure is the same. I got 26 channels for my T2 scan, but somehow I got 30 channels on K1 Plus T2 S2. So I went to check the settings, and this time the Area Setting was already set to Thailand, either automatically, or it was done before sending the device. Anyway I could watch both HD and SD channels without any problems, and signal strength are quality are both at 100% or close to it all the time. 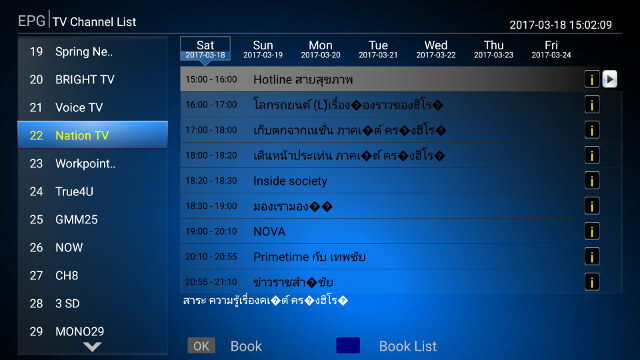 The EPG looks exactly the same, and it still has problems with Thai encoding or font. … and the other USALS support. I have not tested either since I don’t own a motorized satellite dish. 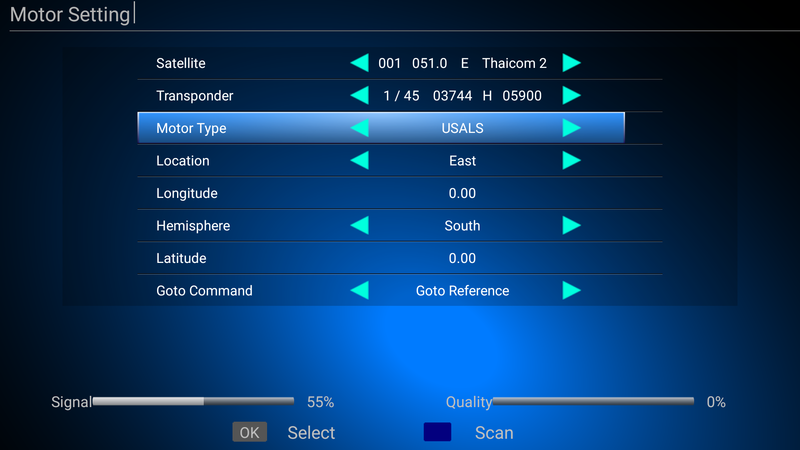 Once you are happy with the setting go to Multi Scan menu to see your satellite list, and press the Blue button on the remote control to start scanning. I got 25 TV channels and 7 radios after selecting a Blind Scan and FTA (free-to-air) channels only. 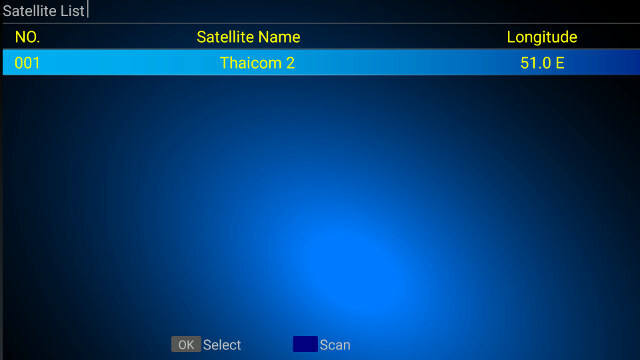 Last year, I got 55 TV channels and 5 radio with the same “Thaicom2” satellite. Go figure… Signal strength and quality are quite lower in my case at around 55% and 50% respectively. There are some channels without signal, just as with K1 Plus T2 S2. 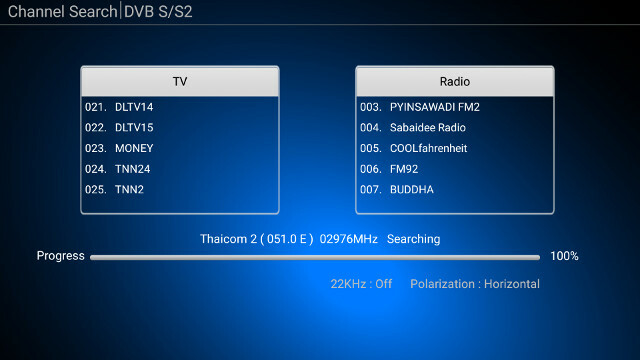 One nice improvement is that you don’t need to select between DVB-T2 or DVB-S2 when you start DTV app, as all your channels are shown in the list. I tried EPG scheduling to start playback or record video, and it works exactly like before. 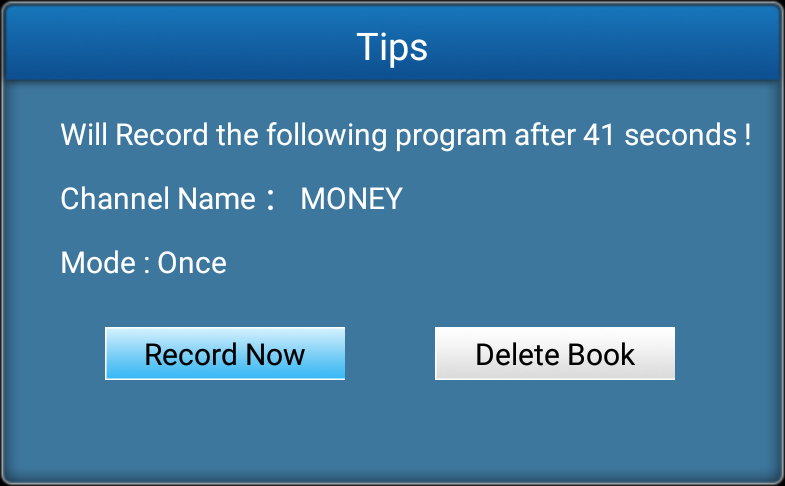 I did not press any button, and one the count down expire, it switched to MONEY channel automatically (good), and I got the message “recording complete” (bad). I could reproduce this bug several times. I noticed if I schedule a recording on a channel, and stay on that channel it will work fine. You can see the list of recording above on my USB hard drive with some started manually (REC key on remote), and several scheduled. All the 0 bytes videos are due to the bug described above. So schedule does not work 100% reliably. However I noticed different current times (shown in top right of EPG) with different channels, for example it was 13:10 on a DVB-T2 channels, and 13:18 on a DVB-S2 channel, so this might explain some of the issues.. Please note that if you schedule program, and turn off the box, it won’t automatically start to record, and some comments in case try to run DTV app in the background and do other things. The DTV app must run in foreground in other to record videos. I was more lucky with TimeShifting. Pressing the play/pause key on the remote control, will ask you to select a storage device, and you’ll be able to pause and play live TV within a default 5 minutes period, but this is adjustable in the settings. Note that you need external storage, as this won’t work from the flash. 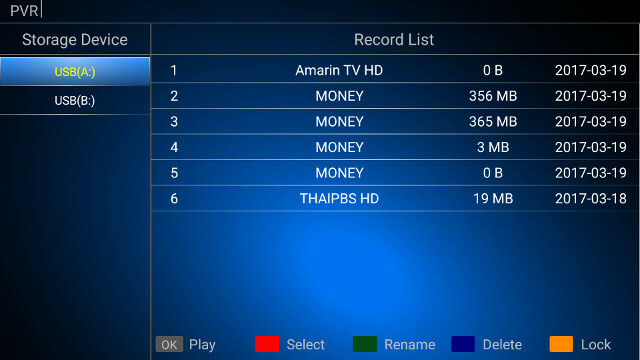 Advanced users will be able to access CCcam, BISS, and PowerVU setting, by pressing the Menu key, selecting Installation and DVB S/S2, and from there enter 111111 on the remote (6 times character 1) to access Smart Data Manager menu. I have not done a video again since it’s so similar to the previous model, with just a few minor changes to the user interface, and if you want to check out DTV app into more details, I invite you to watch K1 Plus T2 S2 video review. I’ve checked WiFi performance by transferring a 278 MB file between a SAMBA share and the internal flash (and vice versa) using ES File Explorer. I’ve only tried 802.11ac (connected @ 265 Mbps) , and again performance was asymmetric with the download @ 3.70 MB/s and upload @ 1.44 MB/s, and average @ 2.1 MB/s which makes it similar to other recent Amlogic TV boxes. However, last time I reviewed MINIX NEO U9-H which had disappointing WiFi results with the same tests, as it was much slower than MINIX NEO U1 despite ahving the same WiFi module and overall system setup. MINIX them showed me their own tests with different routers showing similar performance between NEO U1 and NEO U9-H, so Amlogic may have completely blown up their SAMBA implementation in their Android 6.0 SDK (NEO U1 runs Android 5.0, U9-H runs Android 6.0). That’s 216 Mbps (~27 MB/s) with a raw TCP transfer, and while SAMBA is not supposed to be the fastest network protocol, performance should not drop as low as 3.7 MB/s (over 7 times slower) for the SAMBA download unless something is really wrong. I also tested Gigabit Ethernet with iperf but using a dual duplex test, and performance is fine. Doing a SAMBA download over Gigabit Ethernet gets a 885 MB file transfer in 59 seconds (15 MB/s) to the internal flash, which is pretty much normal. So it looks like the issues occur when combining WiFi with SAMBA. SAMBA performs fine with Ethernet, and WiFi raw TCP transfer speed is OK.
KIII Pro supports exFAT, NTFS, and FAT32 file systems, but not EXT-4 and BTRFS. Benchmarks with A1SD bench shows you should avoid exFAT to record videos with the DTV app, as write speed is rather low (1.35 MB/s), and the write speed (156.09 MB/s) is just incorrect as it is what triggered the “Cached read” in the screenshot below. That means your only option is to use NTFS for external storage if you want to support larger video files. Performance is good at 44.43 MB/s for read speed, and 16.74 MB/s write speed. The eMMC flash (“SD card” in screenshot) performance is not outstanding, but at 41.34 MB/s (read) and 18.29 MB/s (write) is good enough for the system to boot fast, and feel responsive at all times. 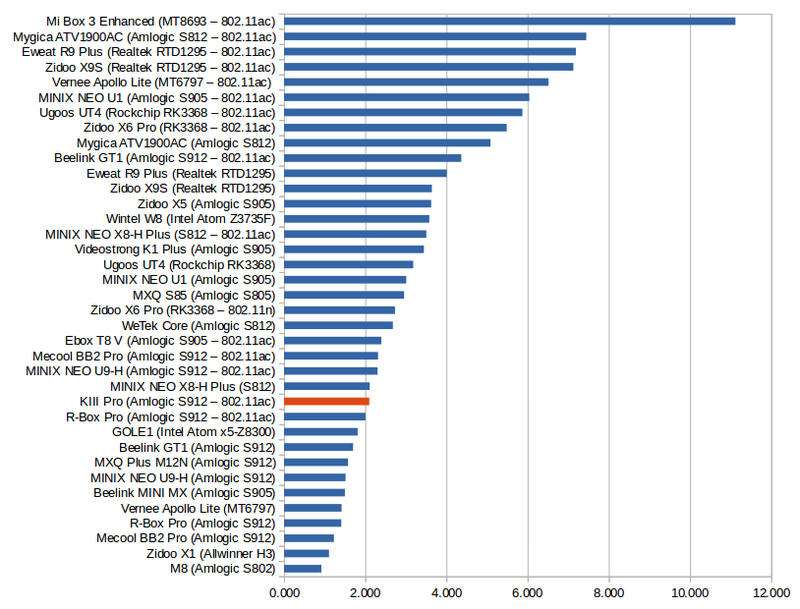 CPU-Z correctly reports an octa-core ARM Cortex A53 processor @ up to 1.51 GHz with an ARM Mali-T860 GPU. 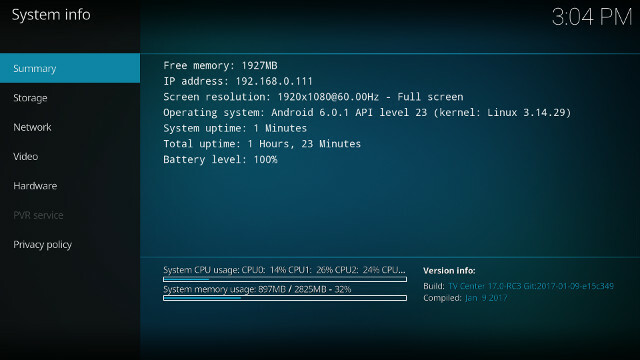 Model KIII Pro is using q20x board, and the pp shows with 2825 MB total RAM, and 11.87 GB internal storage (the real value, but the 16GB shows in Android settings). Since I’ve reviewed so many Amlogic S912 TV boxes, and only ran Antutu 6.x benchmark to make sure there was no hidden issue, and the 40,330 points achieved by the TV box is within the normal range. KIII Pro comes with typical performance and flaws of other Amlogic S912 TV boxes, with Android 6.0 firmware working well, TV Center (Kodi 17 fork) playing 4K videos relatively well, supporting DD 5.1 pass-through, but not the full range of audio codec, and lacking support for automatic frame rate switching. The device is however unique thanks to its dual tuner with DVB-T/T2 and DVB-S/S2 inputs, and the DTV app is about the same as on the previous model (K1 Plus T2 S2), but merges channels from both sources instead of having to choose at launch. Sadly some of the same bugs and shortcomings linger such as font encoding issues, and inablity to run PVR process in the background. In some conditions, scheduled recordings will start on time, but stop immediately resulting in an empty video. 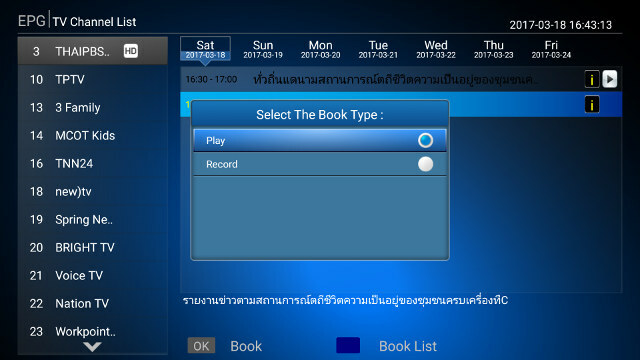 PVR function does not work in background, so the DTV app must be on the foreground at all time, and the box cannot be turned off when using schedules/timers. Potential instability issues with TV Center – The 2-hour video test failed twice: 1st time: crash after 5 minutes; 2nd time the video stopped after about 50 minutes, but I could resume. N.B. : I did not experience other crashes while testing video samples. Mediocre WiFi + SAMBA performance like in other S905X/S912 TV boxes with Android 6.0. Finally, I also have a user-friendliness remark. If you are just going to use TV Center and DTV app, the provided IR remote control will do, but if you are going to also use other Android apps, I normally recommend to replace the IR remote control with an air mouse. It’s not really possible/practical with KIII Pro, as DTV app has been designed around the IR remote control with keys such as MENU, PVR, REC, EPG… That means you’ll need juggle with both the IR remote control and an air mouse in order to fully enjoy all capabilities of the device. It would be really nice if VideoStrong could come up with an (optional) air mouse with keyboard that also supports DTV app. Resellers and distributors may inquire Videostrong via their Alibaba page to purchase KIII Pro in quantities. Individuals can purchase KIII Pro Android set-top box on GearBest ($117.99), Aliexpress ($141 and up), Banggood ($133.99), and other online retailers. Is there any Android box that works flawlessly with an original (unmodified) Kodi? I think that even Minix uses a custom version (even though Minix is an official sponsor of Kodi). So is Wetek. Does a LibreElec box (like the one from AceMax) work with an unmodified LibreElec, and its LibreElec could be updated (flashed) by the user, without any need for a special (custom) version from the manufacturer? So the way I see it, the only way to have a box that its user has the capability to have a new Kodi version (without any custom release by the manufacturer of the box), is having a LibreElec box. I have no tuner so cannot comment there and my s92 sold as no 5.1 pass through. Other than that Kodi appears fine. So, could LibreElec operate on this KIII-Pro? Including the DVB-T2 fuctionality? If stock Kodi works fine, why all manufacturers of Android boxes use their own custom version of Kodi? I thought that a custom version is needed for 100% hardware compatibility, without any minor issues – issues that some people even don’t notice, and that’s maybe why some could be pleased with the stock Kodi performance on their box. This may happen, but it would probably take a few month to be stable. But some manufactures install ( let’s call them add-on ) favourites or like you point out have hardware issues, tuners, audio pass through problems etc. Others do altered Kodi so they can claim their version adds more, and so charge more for the box. Many people remove pre installed Kodi and install afresh. 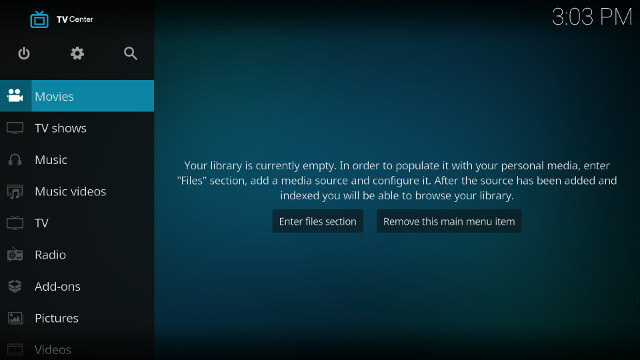 Complete Kodi setup Wizard on Google play will install many builds. Just my own advice but anyone getting a new box would be advised to run Malwarebytes anti malware app from Google play too. Have had it find pre- load malware on a ipro wave 3.5 phone but no hits on a TV box yet. Better safe than sorry IMO. We don’t need Russian hackers, a user at LE forum developed an open source driver for KI/KII internal DVB tuner, it works really well! Btw, as mentioned before on first part – it says, turner DVB-T2 ( at least the chipset) also do DVB-C. Do you have any information about that ? does it really do it. 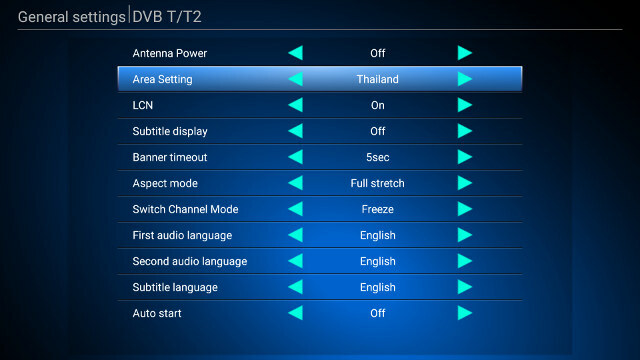 Can i have dvb-c working on this dvb-t2 or is not an option. 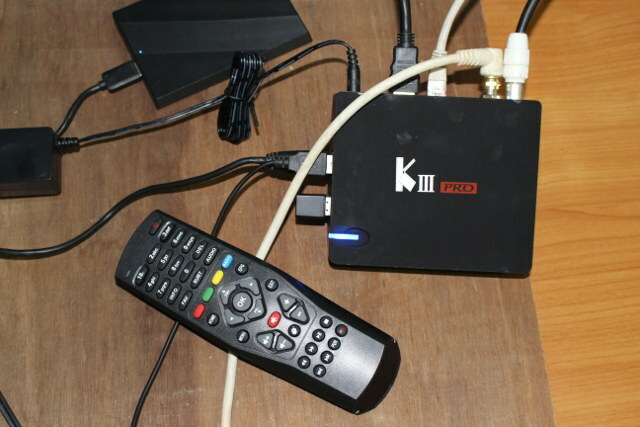 k1 plus is with DVB-S2/T2 also , i think what u mean is K1 s2…. I’m not entirely sure what multistream means here. But if you mean that you can watch one channel, while recording the other, then no it’s not possible. OK. I did not know LibreELEC developers were also working on support for Videostrong Android STBs. I cannot test that. The hardware is capable (at least the demodulator and tuner chips), but DTV app only provides choices for DVB-T/T2 or DVB-S/S2, so it’s better to assume cable (DVB-C) does not work. The driver is a community user effort. Yes and selling fully loaded Kodi boxes banned in Canada too, Torrentfreak reported sellers lost court cases. Is it only a problem for “fully loaded” Kodi boxes, or are “clean” Kodi boxes also impacted? Well fully load boxes are still listed on UK eBay. However there are small chips being taken out of the piracy market in UK. Sky TV removed developer mode from Now TV boxes, so stopping side loading of Plex. Blaming Plex streaming of paid for content. In the coming days, there will be a few changes to the NOW TV Box as part of our regular updates to improve the service. The latest update has been designed to safeguard the device from piracy and illegal streaming of content; therefore it will disable the use of unofficial third party software or apps. This will not affect your ability to watch NOW TV or download supported apps through the Channel Store. So the only reason that manufacturers use their own custom-made version of Kodi is because they want to put pirate add-ons, which Kodi fights against? There are no technical issues regarding the compatibility of Kodi to their hardware, that is the reason for them to change or add features to Kodi? So is it the same story with LibreElec? Manufacturers needs a modified version of LE (instead of the stock version) in order to achieve perfect hardware compatibility? And how could the user know whether the modified Kodi version is needed because of hardware compatibility reasons? In that case, the user shouldn’t replace the manufacturer’s version of Kodi with a stock Kodi from the play store! It depends on the hardware used by developers. Kodi developers likely mostly work on a few Android TV boxes model, maybe like WeTek Hub or Nvidia Shield Android TV, and then a new Kodi version is released about every year (excluding dot releases). So manufacturers just want to sell their box, but the current stable version of Kodi has not been designed for the new boxes (obviously), so they have to modify it to make it work better on the new hardware. As for LibreELEC, manufacturers don’t work on it (AFAIK), the community does, and they usually work on popular/cheap devices, so there’s no need to modify it, since it’s already been designed specifically for those boxes. – No Dolby Audio Licence – there may be issues decoding DD/DD+ OTA DVB TV Audio to 2.0 PCM using Android Apps. – No Google IEC Audio Support in Firmware, that is why Audio in Kodi Krypton is rubbish on this device. – No Linux Mali-T820 GPU drivers for the AMLogic S912’s – so no stable LibreELEC is available at all. – No Automatic Refresh switching for nice smooth video playback. 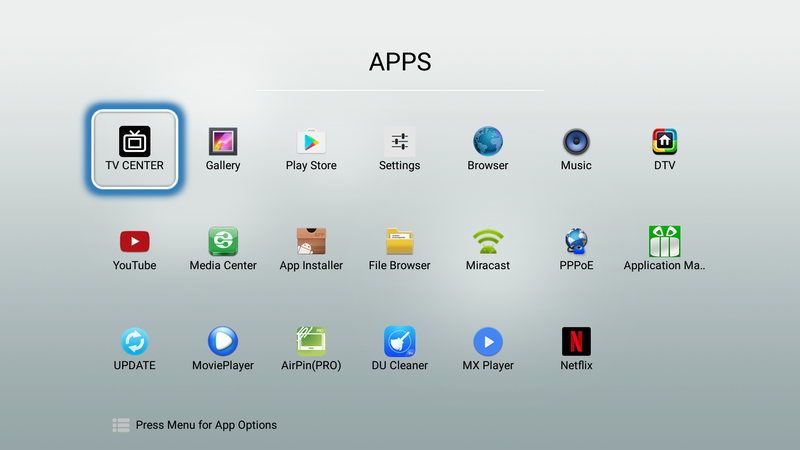 – “Fully Loaded” so expect no Kodi support. – DVB / PVR deinterlacing support needed for TV viewing is badly broken when using Kodi Krypton on AMLogic devices. This will not be fixed by the looks of it. Apparently you have to use Kodi Jarvis and Amcodec Hardware acceleration if possible. – 99% of AML S912 devices come with very poor Firmware, with little after sales support. Worst Android devices on the market for Kodi IMHO. Yes a few quick comments. 1. AC3 audio to PCM 2.0 works in video player and MX Player apps. 2. WiFI AC might not be too bad, it’s only when you mix WiFi + SAMBA that performance drops a lot. Amlogic should look into this as it affects all their Android 6.x devices. 3. 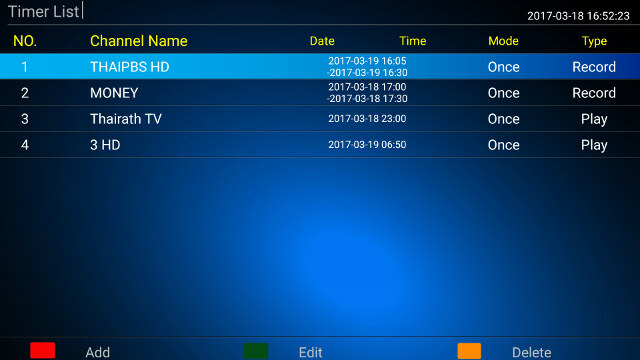 DVB/PVR is not relying on Kodi at all, but a third party app. Are there tuners that do not support multistream? Usually, I get severals channels from one frequency. So I can record a channel from that data stream, I can still watch other channels from the same frequency, but if I get out of band, then it will ask me whether I want to stop recording. You are talking about recording and watching channels on the same transponder. Search in sat forums they will give you more infos. I have a box mecool KIII but only have the satellites (E) and do not have the (W) as for example the Hispassat. Can someone help me put the satellites in this box? Once you are in the Satellite List, you should be able to press the red button on the remote to add a new satellite manually. Thanks for the help, yes I created the satellite and did frequency search and already found the channels. What about the channel list program for KIII? The KI and KII program can not do channel list for KIII! So do you mean you have used DVB Channel Editor, and it does not work with KIII Pro? Make sure you have the latest version (see comments in that post). If it’s still not working, try to ask the developers. Looks cool, might get one from geekbuying. So is it worth just buying a s912 box and adding a usb tuner instead as those signal levels look low. Also does tvheadend work in android kodi ? No TvHeadend does not work properly with Kodi Krypton on all Android Kodi devices at the moment. In fact there are numerous problems with PVR’s and Kodi Krypton across numerous Android devices. Unless this device has Amcodec Hardware acceleration still working (I doubt it) when using with Kodi Jarvis – forget about Kodi on this device. In reality for any Kodi PVR platform you need Kodi dynamic refresh switching working as well – to view 25/50fps TV and then refresh switch to a 24p mode on the fly for smooth video playback of movies. Otherwise you have to refresh switch manually each and every time. My suggestion is to avoid all Hardware platforms for Android Kodi Krypton TV viewing. Adding a USB tuner won’t work in Kodi Android as pointed out by Netflixer. There are some USB tuner designed for Android, but they work with a dedicated app. If you plan to run Kodi Linux, then it could work using LibreELEC, but the implementation is only at the alpha stage right now, and I don’t know if anybody has checked USB tuners yet. SD card firmware update method (OTA file). From what I know, the only Android box that supports automatic frame-rate switching for Kodi is Minix Neo U9-H (but it doesn’t have a tuner). Does boxes with LibreElec support automatic frame-rate switching for Kodi? In that case, the XIAOMI 4K Mi Box should also be suitable for this task. Is it? this firmware is the same one which was supplied on mecool kiii pro box ? It’s different than the firmware I used for review. 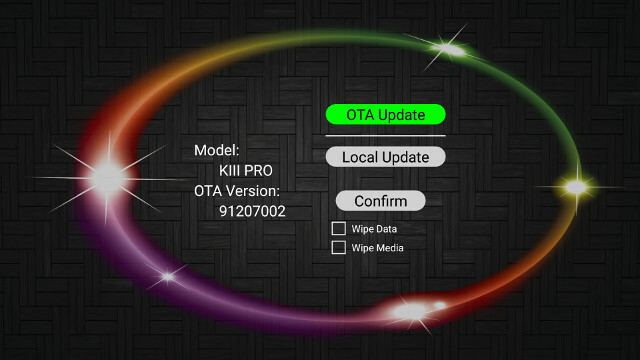 But if you have received an OTA for Mecool KIII Pro box, then it should be similar. I don’t know if Acemax uses a different launcher or the same, but the hardware will be the same, as Acemax is a customer of VideoStrong. how to put N line into KIII PRO DVB ? 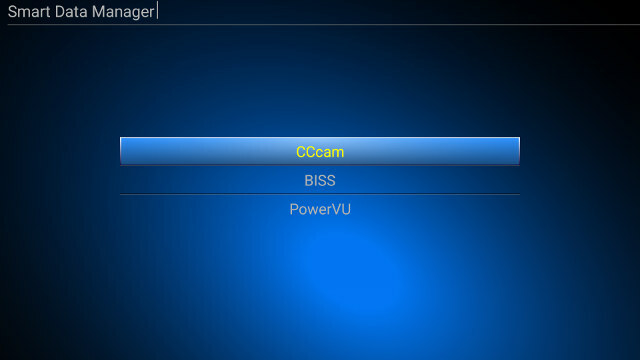 i didn’t see newcamd from smart data manager..
only cccamd, biss & powervu. 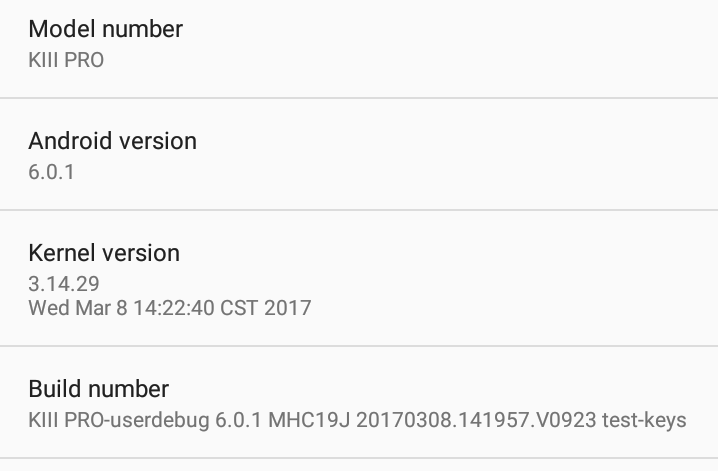 can i install oscam apk ? The signal quality is poor, about 50%, where i normally have 94% on the same channel. And The picture quality is effected as the tuner is having to correct the picture, Or lack of info in the signal. What it does is fill in the blanks so to speak, but the pixels it replaces with its own represetation are not quite the same, in terms of colour anyway. What ive noticed is with dark scenes, where theres alot of black, the blacks are difference shades, its gives like a smearing effect. But if you look closely it is with all colours where the tuner is re-creating(how ever it does that) the missing pixels. Ive just gone back to my KI S805 box that gives me 94% + signal quality, the picture is definitely more pure and subsequently cleaner. Im wondering of theres anyway to replace the tuner in the KIII Pro with the one in the KI(S805) ? how to take screenshoot on this mecool kiii pro dvb ? when i was using wetek play, i can easily screenshoot by pressing a button on the remote controller. tried some screenshoot apk from play store, but getting black screen result captured. and how to put N line (newcamd) ? 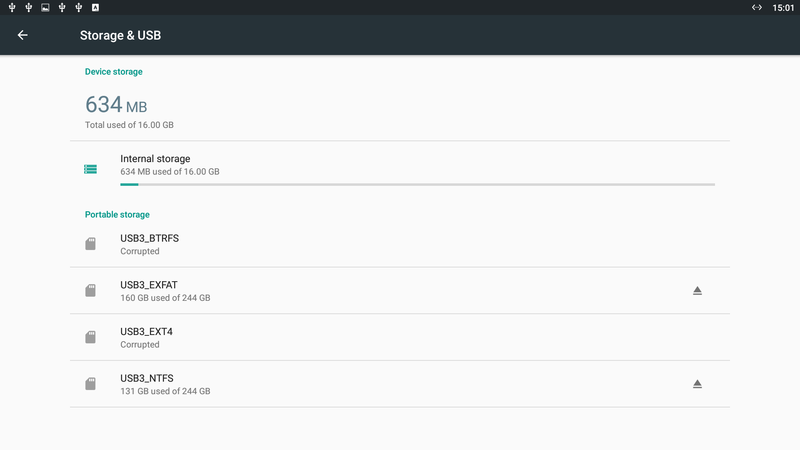 there’s no newcamd options on smart data manager. You can use adb method to take screenshots in full HD. Connect a USB keyboard, and press the “Print Screen” key. That’s how I always do now. ALL AMLogic Marshmallow S912 Boxes has colorspace issues at the moment. GUI’s and video will appear darker than normal. There are also HDR color mapping issues. Even well known AML devices that come with decent Firmware like MINIX have been caught out with their S912 – U9. Unless you get proper bug fixed Firmware updates for these AML S912 devices they are not a good buy at all. I will say again Buyer Beware !